Journal prompts for aspiring writers. Journal prompts are a great way to kick off a writing session when you’re feeling uninspired. We all have days when writing ideas are nowhere to be found, but that doesn’t mean you have to go a day without writing. 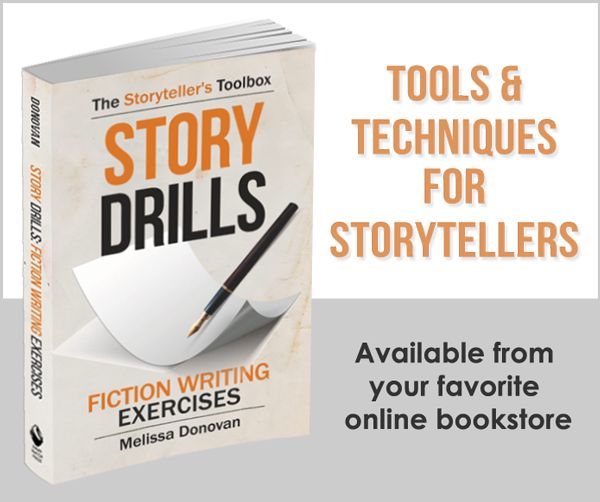 In fact, on those days when my muse is being elusive, I like to either work through some writing exercises to stretch and strengthen my writing muscles–or I evaluate my writing goals. Often, this means I spend time making notes about my writing goals to see how far I’ve come as well as where I’m going and how much work I have to do before I get there. By looking over some of the writing I’ve done about my goals, I was able to come up with ten journal prompts, which are perfect for assessing your goals and aspirations. Do you know what kind of writer you want to be? Have you set any writing goals yet? How close are you to reaching them? What projects are you working on? These and other questions form the basis for the following journal prompts. Finally, write three journal prompts for next time building on what you’ve already written. By revisiting these journal prompts on a regular basis, you can consistently assess your goals to see how much you are accomplishing at different points in time. Some of these journal prompts will be useful to revisit every year. Others would be worth revisiting on a monthly or weekly basis. Next time you’re not sure what to write about or whenever you’re feeling like it’s time to take a hard look at your goals and accomplishments, set aside twenty or thirty minutes and start tackling these journal prompts one by one. You’ll learn a lot, and you’ll be able to keep writing, even if you’re not feeling especially inspired. Got any ideas for assessing your goals or suggestions for journal prompts? Share your thoughts by leaving a comment. Melissa, this is a good post! It is always good to have ways to write even when the creativity bug is missing! In one of my creative writing classes my teacher gave us this idea for when we had no ideas. Start by writing the word Remember three times. It never fails to invoke some sort of memory and you just start writing. I’ve done some of my best work when I’ve done this. I even wrote a post on it at my blog, that is how powerful it is to me. Thanks for the new tips!! Yes, I can see how that would call up some memories worth writing about. That’s a good tip, Jenny. Thanks. I particularly like your first prompt since it can be pragmatic or fantastical … write the life you want to lead, write the person you want to be, write the world you want to see … dream big, Disney-style. It’s a think it, write it, do it formula that works. Your overall thought process shows clarity and precision so it’s great scaffolding for others. Rock on. Thanks, J.D. Yeah, the first prompt could easily spawn an entirely different set of fun and fantastical prompts. I’ll have to remember to put my Imagineer hat on and come up with ten “dream big” journal prompts for next time! Thanks, Gabriel. I love that you added a particular voice to the exercise. That adds a fun twist. You’ve just given me a new idea for a writing exercise in voice. Hm. I wish I got tagged on Facebook with something like this. However, some of the responses I’d give are painful (I don’t recall writing anything last week or moving any closer to a goal), but that would be motivation to get moving. Hey, that’s a great idea – turning this into a Facebook tag. I didn’t even know you were on Facebook! Thank you, Melissa, for yet another fascinating and very readable post; I do so like reading your blog, even though I have been unsuccessful in furthering my own poor writing one iota by following your suggestions. I have tried endless tricks and stratagems, pored over quite literally hundreds of web-sites for ‘the secret’ and spent more money than I care to even think about on books that will, by some process, turn me into a writer – some of them even carrying a ‘guarantee’. When faced by a new text-editor window or a clean page in a note-book I am like the proverbial rabbit, caught in the headlights and unable to move. I know about grammar, I read a trememndous amount of all kinds of books and I can tell a good story from a bad one, but none of these have any effect on my being able to write – or my not being able to write, which is more the point. I can only conclude that the Muse – and I am sure She exists – does not whisper to the talentless, however tempting a welcome they might prepare for Her. If you have ever heard the song, ‘Rock and Roll, I gave you the best years of my life’, you will know where I stand; I have tried, tried and tried again to be a writer and have failed every time. Perhaps it is time I realised that I shall never achieve my ambition and begin to grow up – even at sixty-five! Again, Melissa, many thanks for you blog – I look forward avidly to each new post, and, while I realise envy is a Deadly Sin, I do so envy you and all those who have been blessed with the talent I have for so long tried to find. My very best wishes to you all – and keep on writing; we talentless ones need you to spin our dreams for us. It sounds to me like you have a problem with inspiration rather than with actually writing. You might do some research on creativity rather than on writing, or stop doing research altogether and just write — write whatever comes to mind. Freewriting is a great practice for promoting creativity. I recommend 10-20 minutes a day for at least two weeks. See what manifests! It seems like you’re overthinking it, trying to be perfect. Just write. You don’t have to do these prompts in a journal. This can also be a good activity to do in order to establish and review your writing goals. I usually do this in a notebook (which could be considered a journal of sorts).